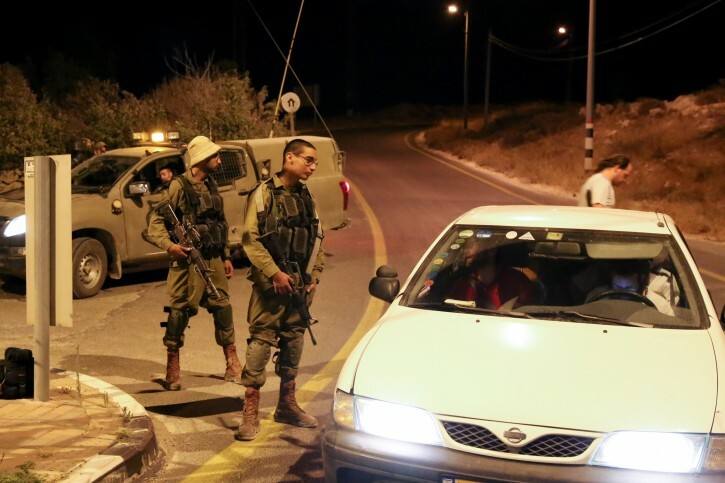 Jerusalem - Eitan Finkel drove with his wife and six children home on Saturday night in the Gush Etzion region of the West Bank when they saw a Palestinian man with a machine gun aimed at them. “We continued to drive as we waited for the ‘boom’,” said Finkel. “When it came, I screamed. 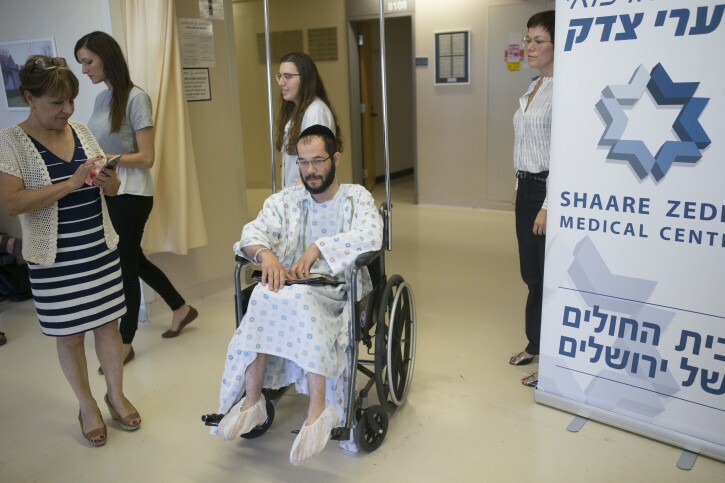 My wife screamed,” Finkel told journalists the next morning, as he sat in the Sha’are Tzedek Medical Center in Jerusalem, where he is recovering from leg wounds. He described how a routine journey from his in-law’s home settlement of Asfar where they had spent Shabbat with his in-laws had turned into a harrowing experience in which they almost lost their lives. Although it was dark on the road, near Area A at the far end of Gush Etzion, they could still make out a car on the side of the road. A terrorist had stuck the upper part of his body of the window in order to shoot at them, Finkel said as he sat in his hospital gown and black skull cap. They were not able to drive away fast enough, Finkel explained. The bullets shattered the car windows and he felt that his leg was wounded, but he continued to drive forward. “I was glad to discover that I was still alive,” Finkel said. Along the way he thanked God that no one else in the car was hurt. “How could anyone say that it wasn’t a miracle?” he asked. Finkel said he continued five minutes down the road until he saw an army jeep. The soldiers told him to continue driving a short distance and there would be an ambulance waiting for him. “I stopped when I saw the ambulance and lost consciousness,” Finkel said. It’s the second shooting attack in the West Bank this month. On Friday, July 1, Palestinian gunmen shot and killed Rabbi Michael “Miki” Mark as he drove on Route 60 in the South Hebron Hills. “The roads have become red with blood. We cannot let this continue. The prime minister and the defense minster have to understand that the reality has changed. We have gone from knife attacks to shooting on the roads,” said Gush Etzion Regional Council head Davidi Perl after the latest incident. “We have to stop this immediately,” he said. The IDF is still currently searching the area for the suspect. 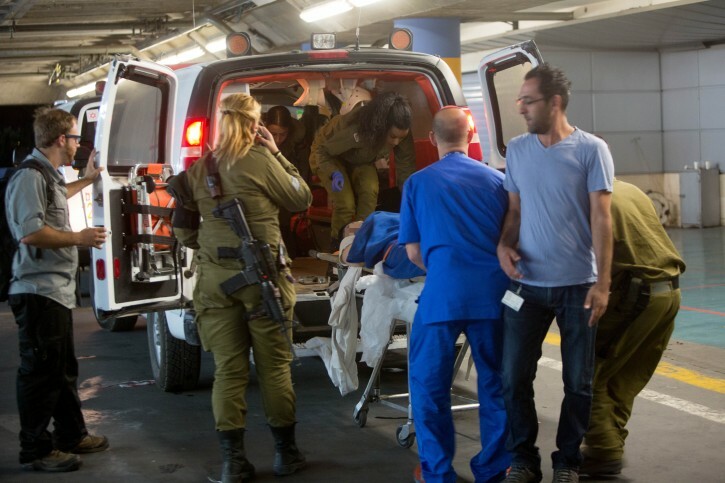 Since the start of the wave of violence in mid-September 40 people have been killed by Palestinians and 511 people were injured in attacks that occurred on both sides of the Green Line. There have been 79 stabbings, 76 attempted stabbings, 96 shootings, 45 vehicular attacks and one bus bomb. The ones who advocate stabbing and killing jews must be eliminated now to show the rest that the govt. of israel will protect its civilians.